Wesley Mission Queensland (WMQ) is an integral part of the Uniting Church in Queensland and operates as a mission activity of the Albert Street Uniting Church. Since its inception in 1907 WMQ’s purpose has been to participate in the mission of God towards reconciliation, transformation, justice and hope for all people. In and through this mission and ministry we are actively committed to ‘Uniting in Christ, acting with love, witnessing in faith and working for justice’. Our mission is to walk alongside people in need, offering care and compassion and promoting choice, independence and community wellbeing. Wesley Mission Queensland is built on the values of hope, justice, integrity, compassion, empowerment, innovation and respect. At the heart of WMQ’s approach to mission is developing authentic relationships with integrity and compassion and we strive to live this out in all that we do. We are deeply embedded in local communities across south-east Queensland offering support services that strengthen, empower and uphold those people who are most at risk in our community. As a parish mission of the Albert Street Uniting Church, WMQ is committed to worship, witness and service through the activities of the church and within our aged care, retirement living and community service activities. Wherever we can, we seek to work with congregations within the Uniting Church as part of shared mission activities—this is fundamental to demonstrating our commitment to the shared call and vision of the Uniting Church in Queensland. We strive to be a welcoming, caring and inclusive community that celebrates diversity and responds compassionately and creatively to the needs of others. As such, we welcome, encourage and support staff and volunteers of many different backgrounds and faiths who are committed to our core values, and who will work with us in achieving our mission and vision. WMQ is one of the many faces of the Uniting Church engaging in God’s mission in the world. 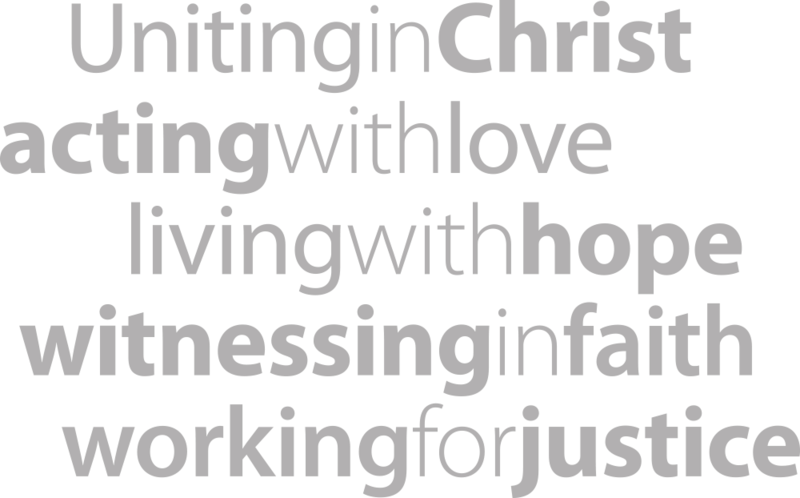 The Uniting Church logo is at the heart of our logo and we hope that our prayers, our people, our resources and our worship are seen as part of our church’s commitment to ‘Uniting in Christ, acting with love, witnessing in faith and working for justice’. For further information, refer to the Wesley Mission Queensland website or email them at contactus@wmq.org.au.